Woodland Cemetery has been helping Greene County area families deal with grief and loss for generations. The loss of a loved one is one of the hardest times anyone has to face. 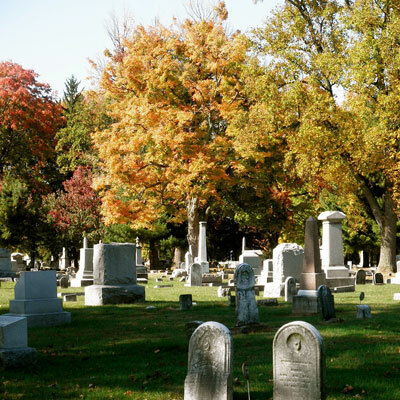 Making plans regarding the final resting place of those you love after they have passed away can be overwhelming addition to an already difficult time. Planning ahead for this difficult issue can spare those left behind from significant emotional and financial burdens. That is why pre-need services are so important. With pre-need services, you choose exactly how you want to be remembered. You choose your own final resting place. That way, when the time comes, family members don’t have to be concerned about what their loved ones would have wanted; they know because it was arranged in advance. We are often told that the family was so grateful that their loved one had already made these crucial and emotional decisions in advance. Pre-need services allow them to spend more time with family and friends during the grieving period and allow survivors to focus on the wonderful memories they have of their loved one’s life and to feel the full comfort from those around them as they grieve for their loss. Many lots are available in both the older and newer sections of Woodland. Call for details. Contact us by email for answers to your pre-need concerns.